You have in mind to spend a holiday in Barcelona and this time you do not want so much hustle and bustle; you have clear, you want relaxing holidays. You are looking for the best choice but you don't know where to start. 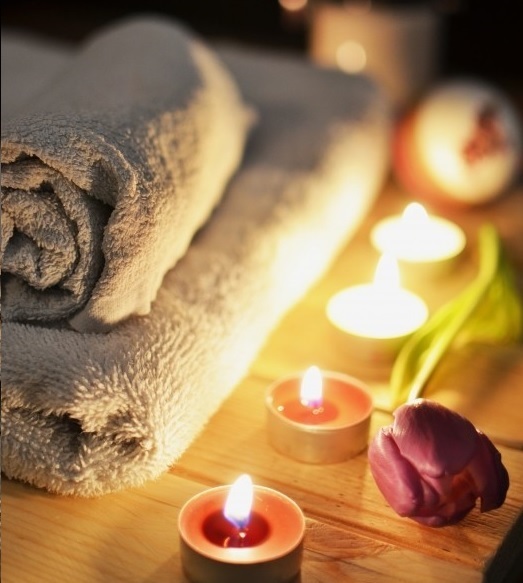 Massage, facial treatment or a good bubble bath? If we have something in the city of Barcelona is variety. And since at @midtownluxuryapartments we know that variety is the taste, this July we want to leave you a small review of the best spa centres in Barcelona where you can indulge in your holidays. Choose wisely! Mayan Secret Spa, at the Claris & Spa 5*GL Hotel. Declared "World's Best Emerging Luxury Spa in 2017". Entering the Mayan facilities in Barcelona is a delight for the senses. These spas offer a unique experience set with unique pieces of Mayan culture. High French cosmetics are combined with treatments inspired by the Mayan tradition. In its program you will find an endless number of beauty methods, detoxifying and sophisticated rituals. You can enjoy their Pre-Hispanic sauna, a holistic massage session or a facial beauty treatment - you'll come out totally renewed! In a corner of the Born we find the facilities of Aire, the Arab baths of Barcelona. A space where you can move as you like or book a massage. To enjoy a full Air experience you must disconnect the phone, cameras or any noise that distorts the space created for rest and relaxation. You can enjoy five bathrooms with different temperatures and aromas, a thermal circuit with a timetable from 9h to 23h or 24h on weekends. If you want to give your body a whim, contract an individual, couple or group treatment. It is an unforgettable experience! The Barcelona Hammams offer the best health and beauty treatments from Morocco and Turkey. If you feel like discovering the secrets of traditional oriental beauty, the Rituels d'Orient Spa will be your favourite corner. Take the time to let your skin, body and mind breathe. Find your balance while you rest and give a beauty treatment to your senses. Reflexotherapy to improve your ailments, massages with stones of Hawaiian origin or a session of quiromassage to relax your muscles. If you need a hair beauty treatment, choose a mud bath. You'll love it! They have a multitude of treatments for all tastes. Would you like some? If you need to disconnect from your daily routine go directly to Flotarium Barcelona. The first wellness centre specialising in zero gravity anti-stress treatment. At Flotarium, insulation is carried out in flotation tanks. Experience tries to isolate the person from all external stimuli to achieve a total disconnection. You will be able to enjoy the silence and the sensation of floating like in space. This treatment will help you fight stress, insomnia and fatigue. It will improve your ability to concentrate and stimulate your imagination. Try it! A more comfortable alternative and within the reach of many is to go to a Sports and Health Centre in which they have an exclusive Spa-Spa space. In Barcelona we have the Metropolitan centres, a chain of gymnasiums where they dedicate a wide and wonderful space to rest. You can request facials, body treatments and massages. You can enjoy unlimited access to the Spa Spa area which has waterfalls, Turkish bath, water beds, ice fountain, sauna ... Among other areas. All done to give you a whim and have an ideal experience. For a complete relaxing experience, we at @midtownluxuryapartments recommend a comfortable stay in our apartments in the city centre. Plan your ideal getaway in Barcelona: Live a complete relaxing experience.